Today the new website of Incognito Underfloor Heating Scotland has gone live. 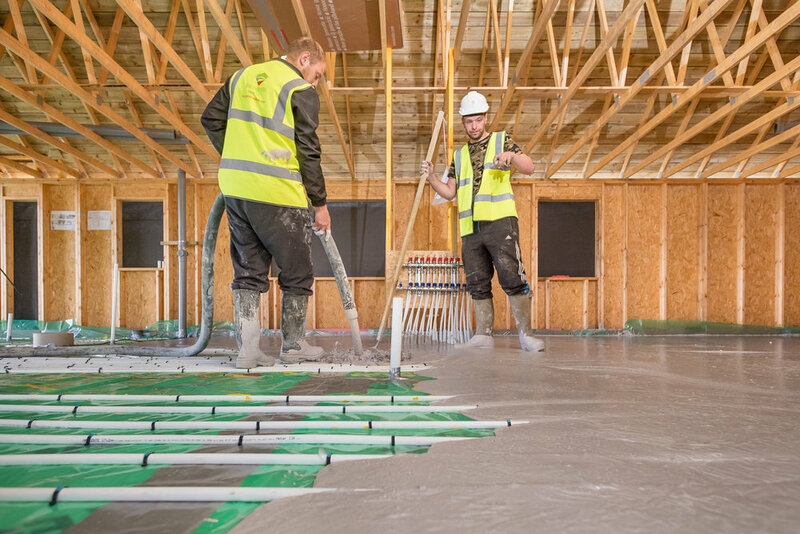 Incognito Heat Co is a sister company of Amos Beech and they have supplied and installed underfloor heating systems in Scotland and the North of England for over 10 years. Just like Amos Beech, they have relied on referrals and their own proactive sales for years but now felt that they should bring the online marketing up to today's standard. 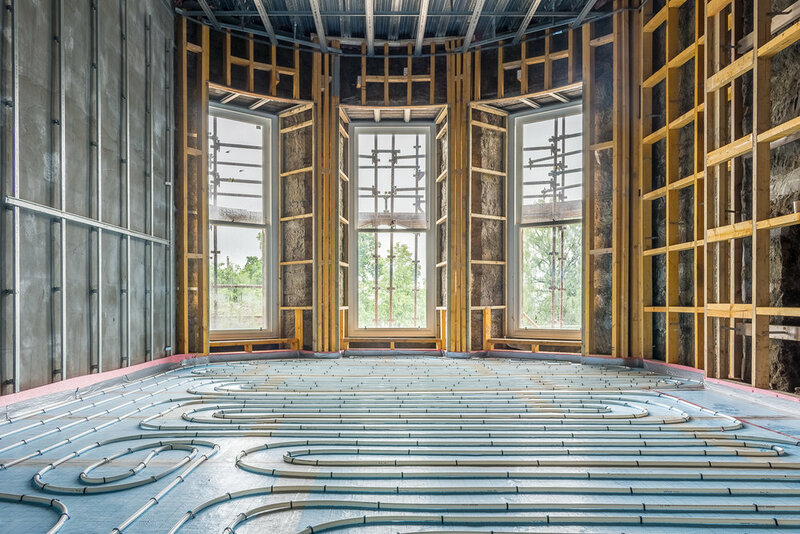 Underfloor Heating is the most comfortable form of heating for both domestic and commercial property and in combination with renewable energy sources it is the heating system of the future. 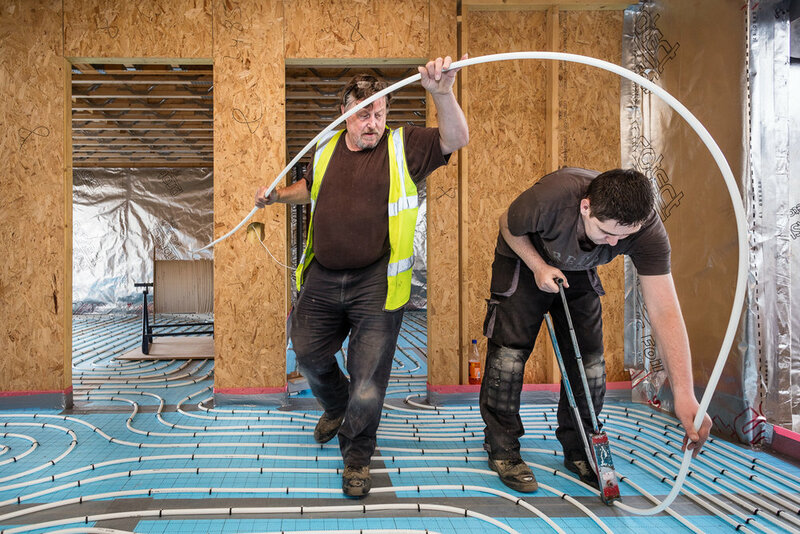 In this article we will give you a brief explanation about the benefits, more information can be found on the new website: Incognito Heat Co.
Underfloor heating turns the floor into one giant source of radiant heat with no hot radiators ensuring you have safe, gentle warmth from the feet upwards. 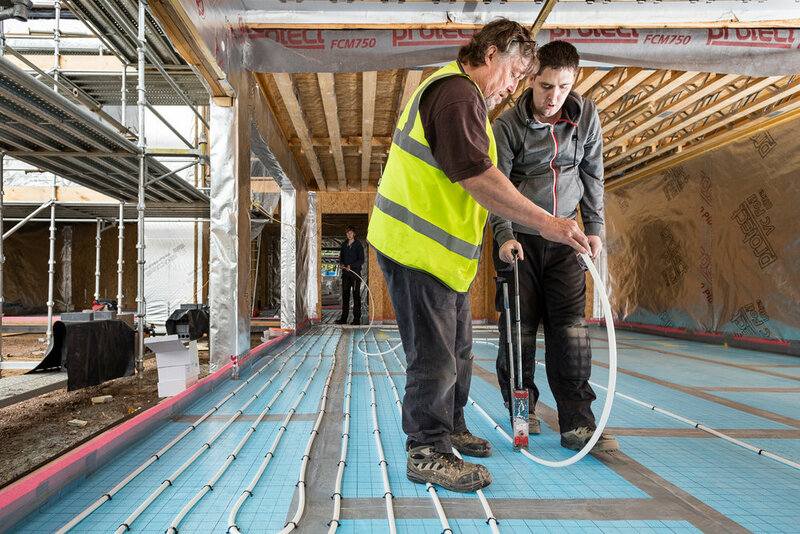 Underfloor heating works by circulating warm water through a series of continuous loops that are fitted underneath your floor heating the room. Their are various systems available for both new builds as well as existing properties, ground floor, first floor and upper floor systems. 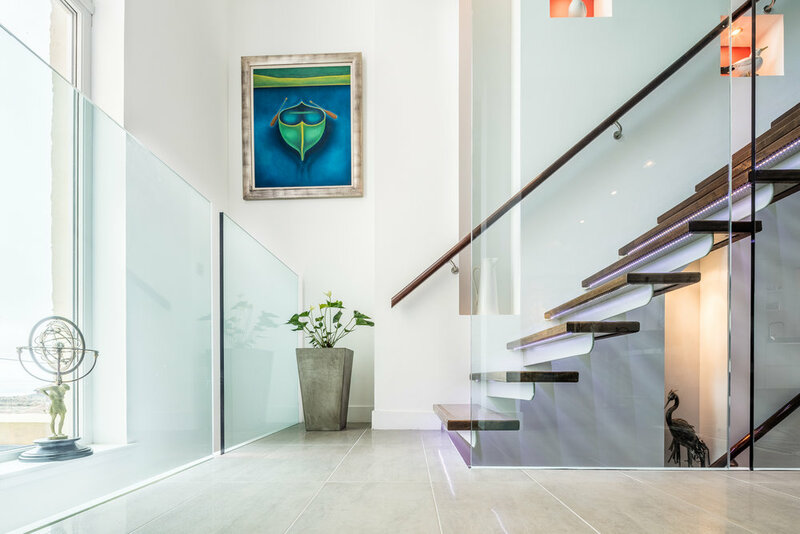 With underfloor heating you have a much more comfortable heating than the convected heat by radiators which draws cold air across the floor, heating it and then convecting it towards the ceiling. Underfloor heating heats from the floor up creating fewer draughts and dust movements and explains why underfloor heating is considered to be the most comfortable and healthiest form of heating. The effect on the human body of having warm feet and a cooler head mean that comfort conditions are created at 1 or 2 degrees cooler than is expected from conventional systems and is therefore also a saving on the monthly energy bill. If you are reading this article as an architect or interior designer then please consider that space consuming radiators, don't hinder you space planning anymore. 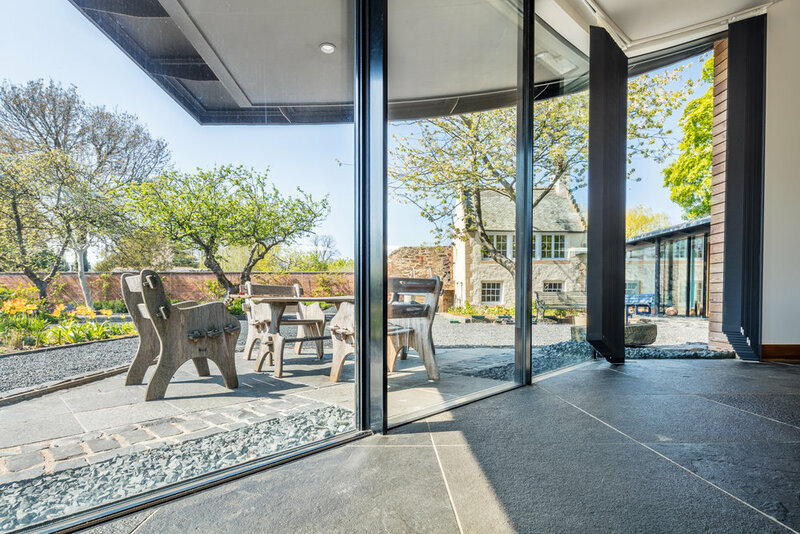 In the slideshow below, after you have seen some installation images, you will see how unobstructed views can connect the interiors with the outdoors. For more information and images please visit the site of our colleagues: underfloor heating.